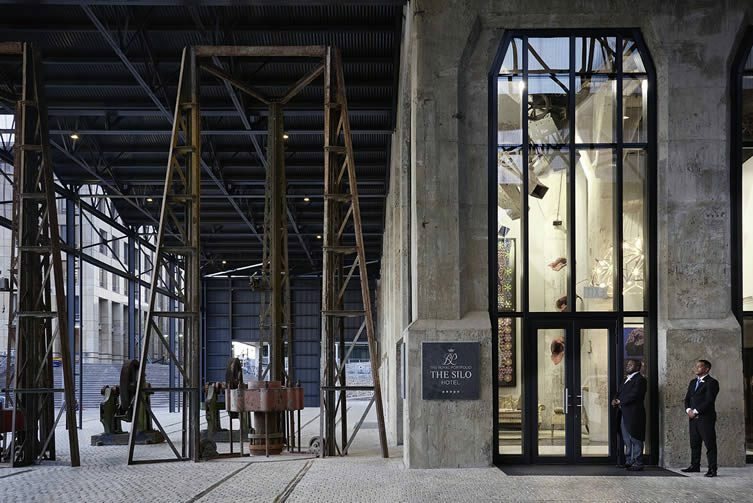 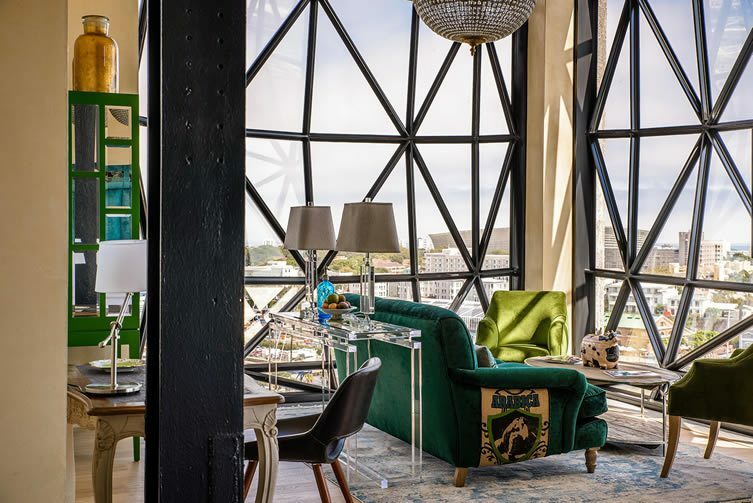 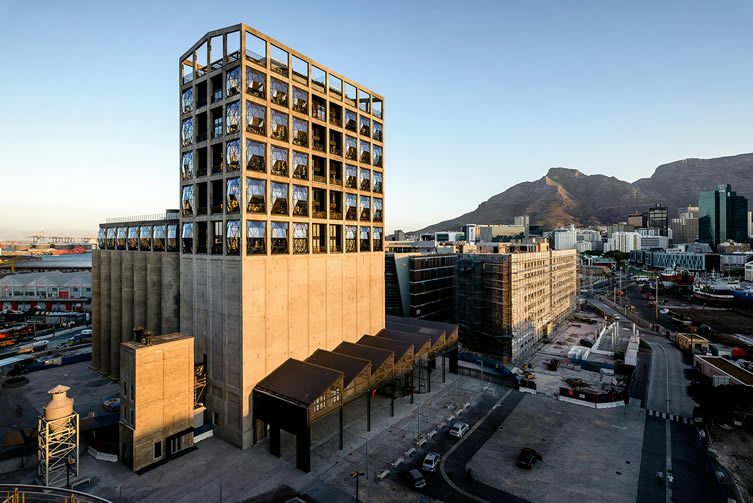 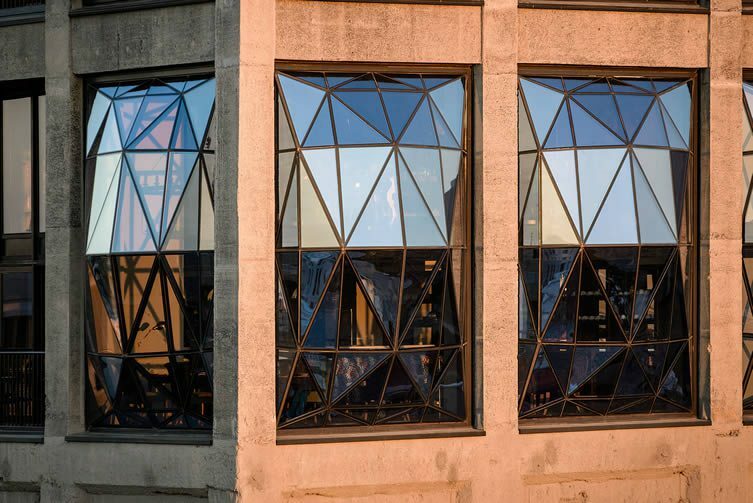 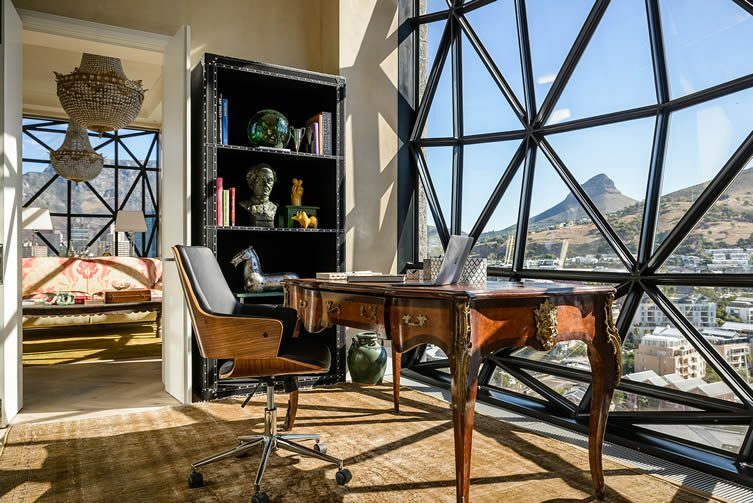 Occupying a spot in the grain elevator portion of Cape Town’s historic Grain Silo building, The Silo Hotel is the latest project for renowned brand The Royal Portfolio; a singular property taking up residence in an even more singular architectural wonder. 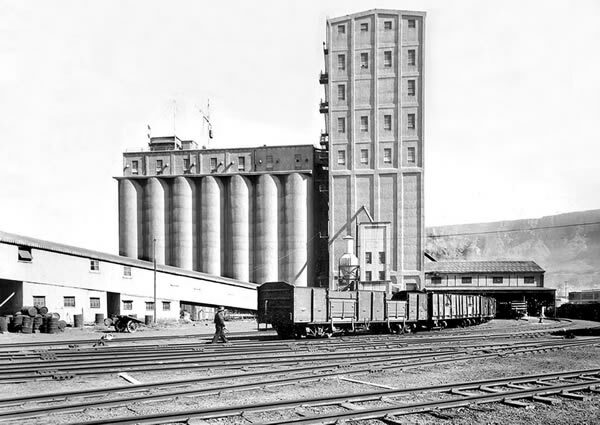 The Grain Silo in 1924, when it was the tallest building in Sub-Saharan Africa at 57 metres. 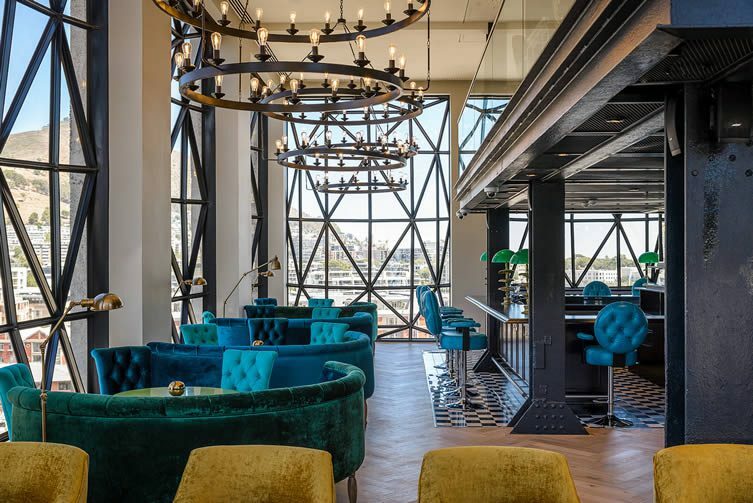 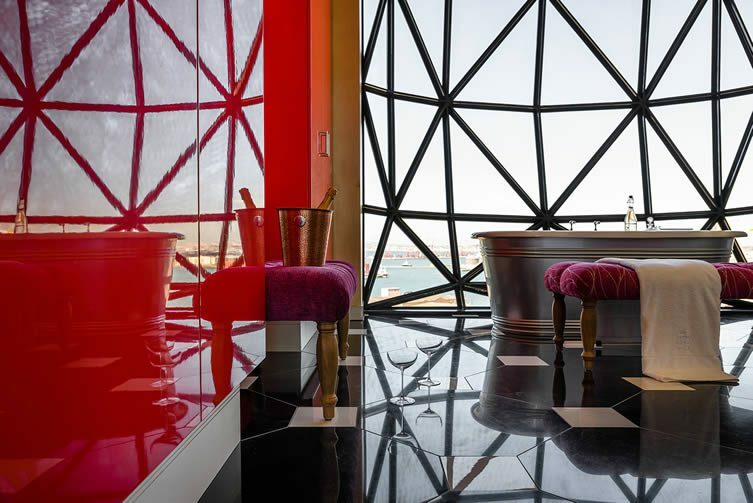 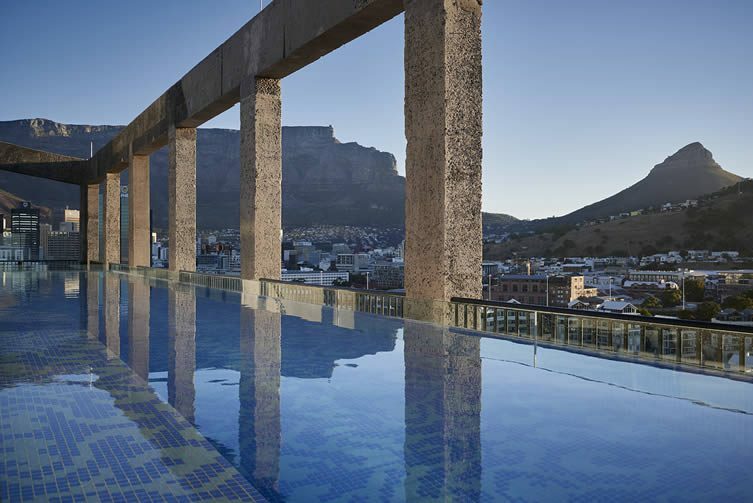 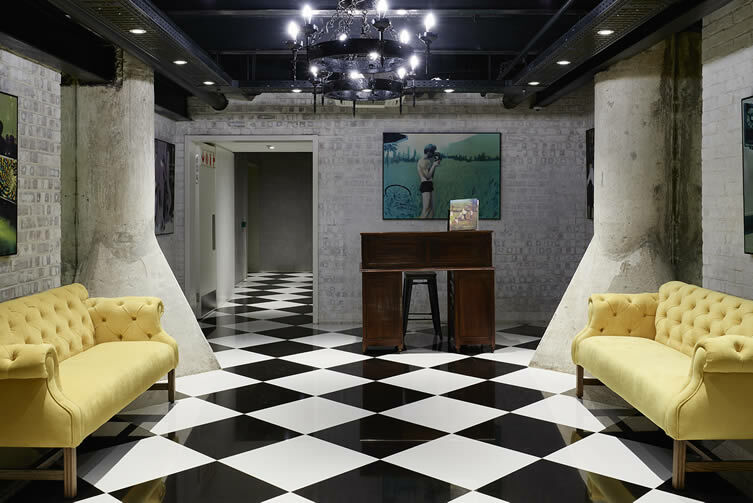 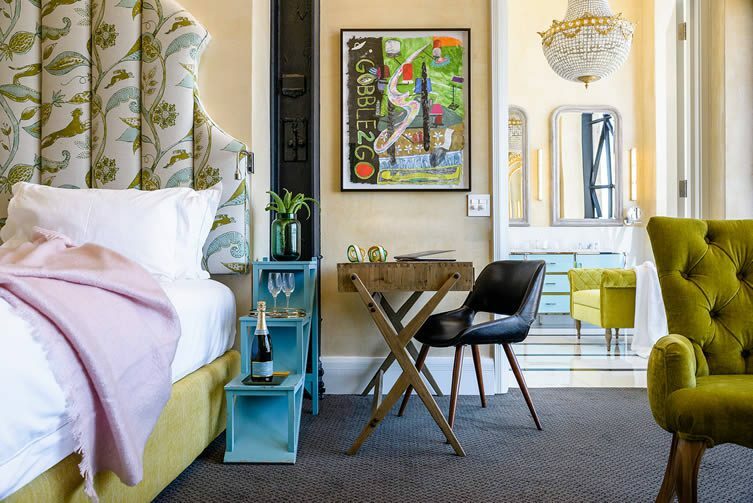 Located on the city’s handsome Victoria & Alfred (V&A) Waterfront, at the foot of the impressive Zeitz Museum of Contemporary Art Africa (MOCAA), the hotel boasts panoramic views of Table Mountain and features 28 decadently-designed guest rooms; The Silo Spa; Willaston Bar; Granary Café; and a stirring rooftop bar and restaurant space where guests enjoy those views whilst basking in the temperate South African climate. 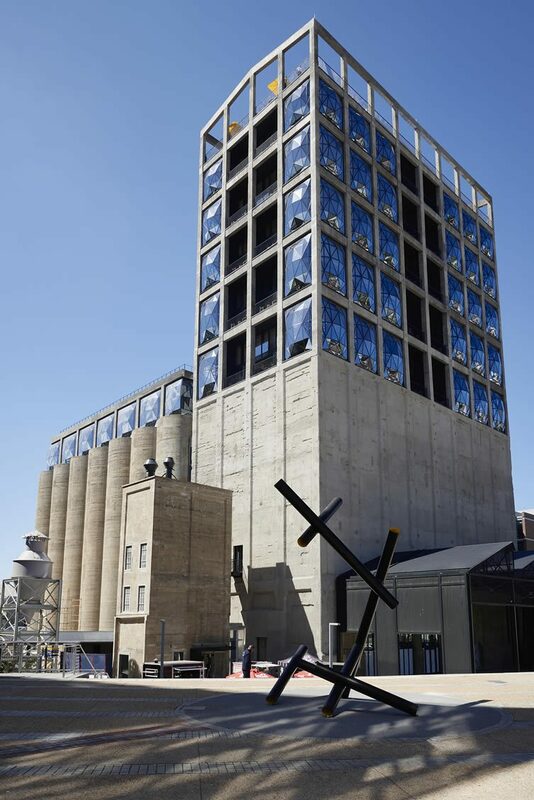 London-based maestros of architectural whimsy, Heatherwick Studio, reimagined the Grain Silo building (once Sub-Saharan Africa’s tallest) which is now home to both the gallery and hotel; adding pillowed glass windows that are bulbous and brilliant — bulging outward with comic book intensity. 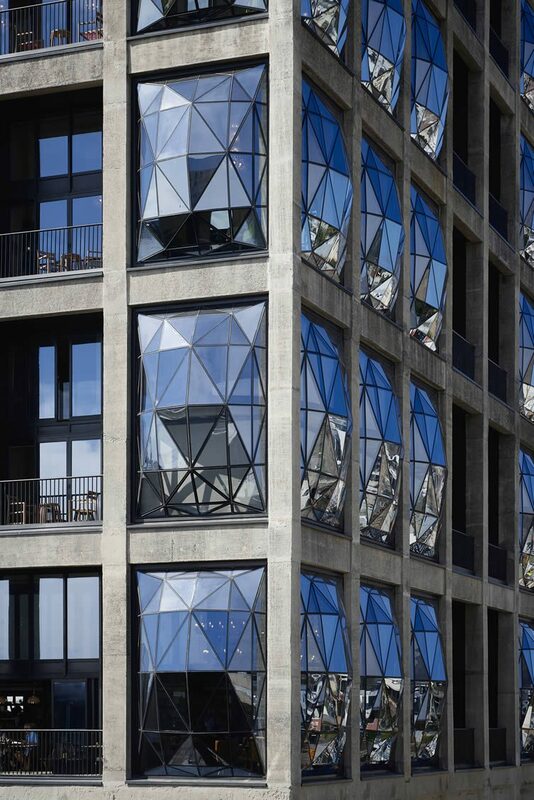 Come nightfall Heatherwick’s windows transform the building into a glowing lantern; a characterful beacon for the Cape Town harbour.